Final pictures of most of the classes being held for our upcoming retreat in February. Spaces for the retreat itself are mostly full, but there is some availability in the individual classes for $25 per class. We are so thrilled that so many talented quilters are teaching classes for us this year. Here are the pictures and times for individual classes. Jeena will be teaching her wonderful applique techniques, making a beautiful and functional needle keeper. Kim will be teaching the Dresden plate technique as well as how to do the pieced sashing for this quilt. Connie and Carol will be teaching the piecing and embellishing techniques for this sweet quilt. This quilt combines applique and piecing. Kits will be available. Lori will be teaching her wonderful applique techniques in this cute block she designed especially for our retreat. Kits will be available. More pictures on her blog here. An easy big bag - quick and fun. You'll be able to finish in class. Wonderful piecing and applique techniques. Kits will be available. 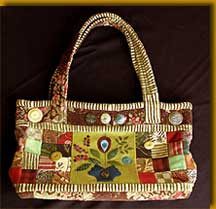 Maryann will be teaching lots of techniques including silk-ribbon embroidery and three-dimensional applique. Sherrie and Amy are going to teach how to make these darling (and quick!) coin purses. Handles will be available for purchase that night. These two talented quilters will show you many ideas for using pre-cut "layer cakes" (collections of 10" squares.) A lecture class. 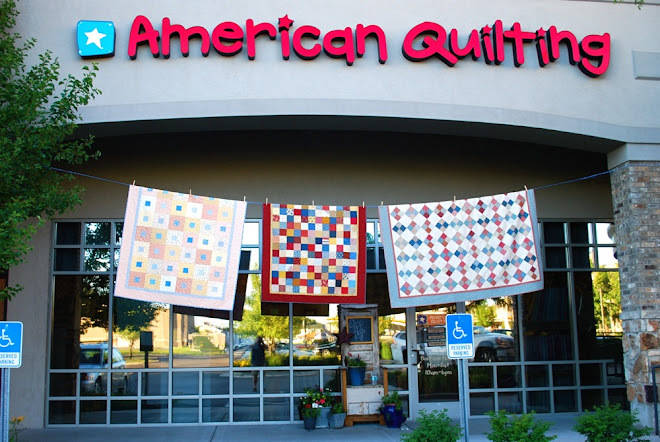 These two ladies will be sharing lots of tips and tricks for quilting. To see some of the things these two have done check out their website here. bring a pincushion to swap! Nanette shares her adorable Kettles quilt teaching applique and piecing techniques. This fun bag is a Sue Spargo design. This bag combines piecing and wool applique and lots of pockets! Kits available. All classes will be held at the Provo Marriott hotel on Center Street in Provo. If you are interested in retreat details or would like to inquire about signing up for individual classes please email Amy McClellan: aqamy@comcast.net We would love to see you there! Oh I wish I could attend them all! This is going to be a really great retreat. 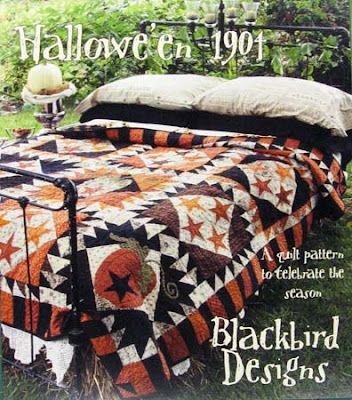 Do you have kits for the Halloween 1904 quilt?